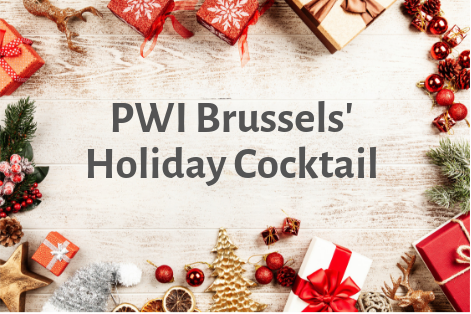 Please contact membership@pwi.be to obtain the registration code for this event. Join us at Le Châtelain Boutique Hotel to share a friendly moment over a glass of wine or our special PWI signature cocktail as we're all looking towards a warm and cozy Holiday Break. Meet other PWI members and the extended PWI friends' crowd to mingle, network and enjoy yourself. SPECIAL PROMOTION for PWI Members: Bring one guest for FREE! "I found my voice after bottoming out from two D words: Depression and Dementia. Along my transformational journey to find my voice, I realized the power of vulnerability, authenticity, and sharing. Morover, I discovered just how much you can inspire and empower others WITH your own new-found voice - something I hope to do in this talk. Looking forward to sharing this transformational journey WITH all of you in the hopes of inspiring you to discover your own true voice." KYLA MITSUNAGA is a Global Happiness Coach / Women’s Empowerment (WE) Coach /Speaker / Award-Winning Professor / Founder of The Happiness Workshop. She realized her true calling and passion when she won her first teaching award at Harvard. She went on to teach at Yonsei University in Seoul for 7 years creating unique and innovative content for classes such as Career Development, Global Issues, Cross-Cultural Communication. She even created a course on Happiness for Freshman and won multiple teaching awards. 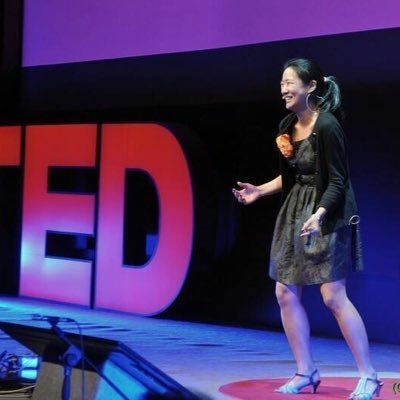 In 2012, she was invited to be a TED@Seoul speaker. She recently trademarked her TED Talk title WITH vs AT and turned it into a book as well. She has gone on to win several teaching awards and has delivered innovative and dynamic corporate workshops as well as practiced one-on-one coaching all over the globe. When not speaking or workshopping globally, you can find Kyla swimming, baking (without processed sugar), writing, finding the best eats in Korea, and mulling over women’s rights.